Improve your pitcher’s fastball, straighten your golf swing, easily break down a volleyball serve, improve soccer skills, or even demonstrate weightlifting form. 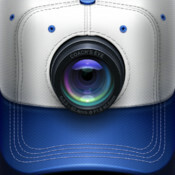 Coach’s Eye makes instant feedback possible on the field or on the go. • Record SD or HD videos. 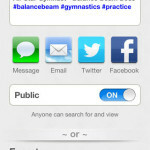 • Instant import of videos shared from other Coach’s Eye users. 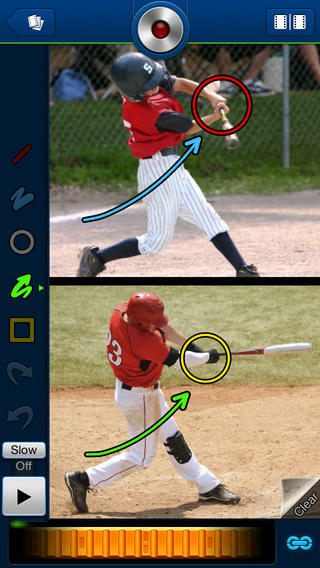 • Angle tool: Draw multiple angles in side-by-side comparison videos and in single video analysis. Angles snap into place and can be moved with multitouch. 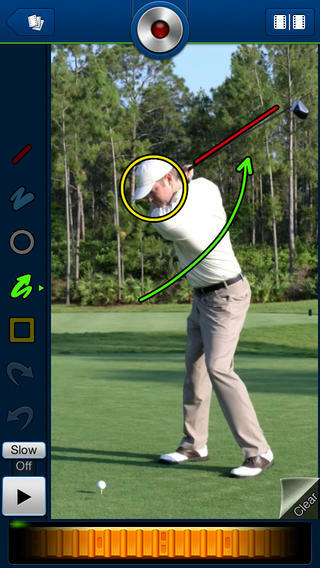 Measure down to the degree with 360 degree range of motion. • Timer tool: Timers snap into place to mark the important points in your video. See elapsed time and calculate split time. In video playback see time leading up to the key moment. 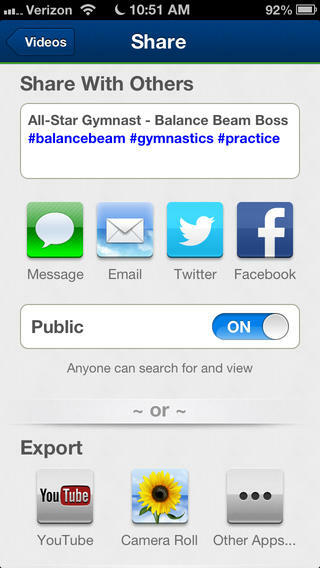 • Spotlight tool: Focus on the critical moment. Dim the light surrounding the spotlight to put focus on a specific part of your video. Customize the color and zoom to point out the detail. Start showing the most important parts of your video. Video doesn’t lie. 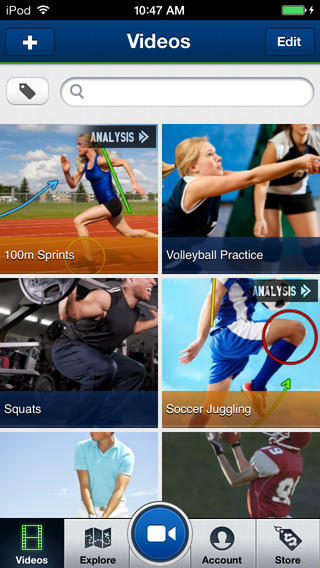 Buy Coach’s Eye today and see your performance improve immediately!